Scientific Therapeutic Exercise Progressions is our premier course series on advanced exercise Dosage, Design, and Progressions. Improve your clinical decision making around designing your own exercises, or modifying old ones, to address a specific impairment. Dosing exercise is fundamental to achieving a desired outcome. This curriculum is build on a foundation of the Medical Exercise Therapy curriculum, developed by Oddvar Holten in Norway in the early 1960’s. 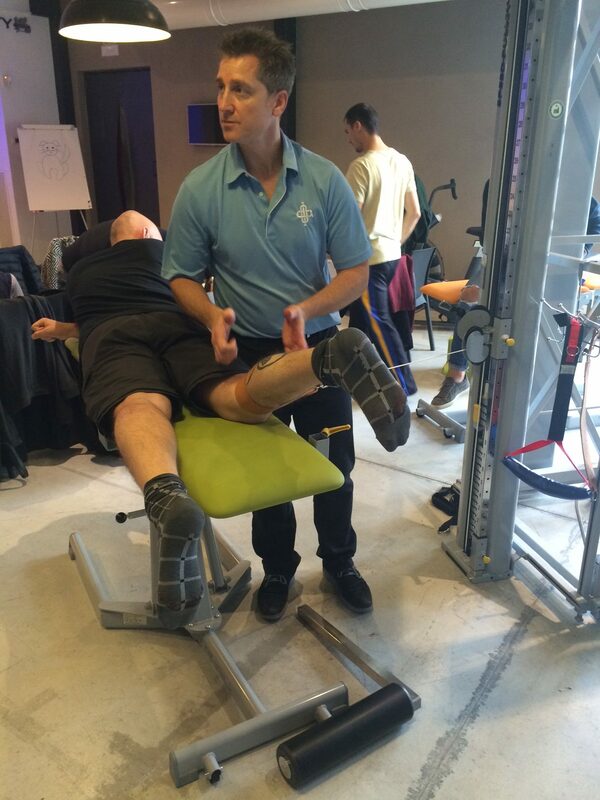 This curriculum was the foundation of training for tissue repair, now referred to as mechanotherapy. 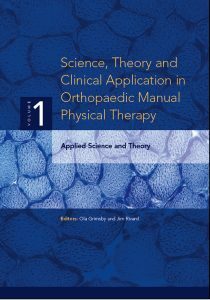 Ola Grimsby’s addition to this original curriculum has been expanded the understanding of tissue specific dosage for mechanotherapy. Additionally, neurophysiological concepts for motor learning and muscle activation continue to progress. This dynamic curriculum is constantly evolving forward. Come and move with us. Movement for a specific outcome requires the knowledge of all parameters on dosing exercise. Traditional concept raining at specific resistance levels address endurance, strength and power still apply. 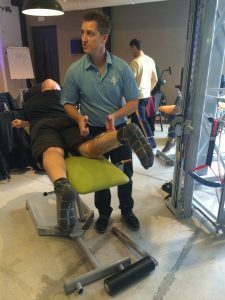 What separate rehabilitation in physical therapy from athletic training, Pilates, Yoga and a health club is the ability to train for specific tissue pathology and impairments. Mechanotherapy concept explain dosing exercises as it pertains to influencing of repair of bone, collagen and cartilage are fundamental to STEP / MET programs. What is the dosage for influencing local circulation? Rather than use modalities to influence circulation, learn how to dose exercise to increase local circulation to resolve muscle guarding and improve angiogenesis for improved tonic muscle endurance. 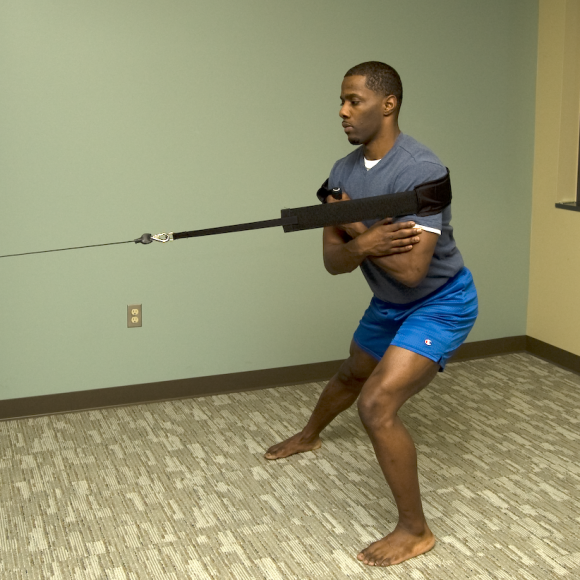 Controlling where forces go with training is paramount in mobilizing joint, protecting contraindications and activating specific muscles. Exercise duplicating arthrokinematic joint motion for training elasticity, plasticity and lubrication can help restore ROM and coordination. 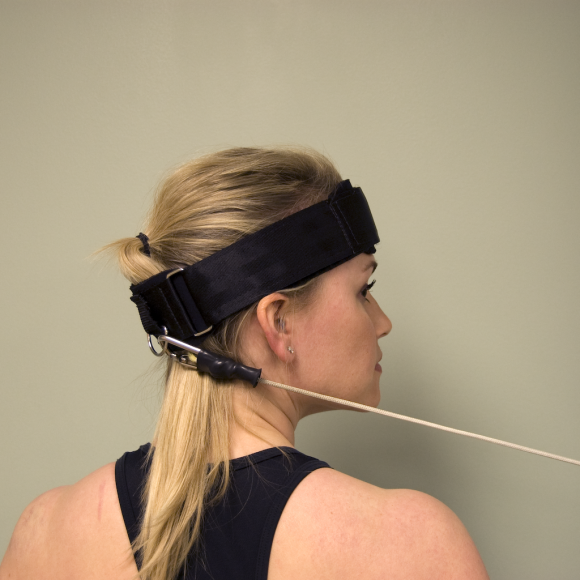 Spinal locking exercise techniques allow for protection of nerve roots and hypermobilities to train earlier and more aggressively with acute spinal pathology. Understanding lines of activation from pulley systems and free weights can significantly speed up motor learning and coordination training. The type of equipment also matters. Do you know why elastic resistance is one of the most inefficient types of resistance to use for most early training goals? Why are we still using this so much in early rehab? Where do I start? What exercise should I use? How do I know when to progress? When are they ready to go back to work or sport? These are the questions that challenge us all. Learn a systematic approach to creating individualized programs related to specific tissue pathology, impairments and end stage goals. Throw away those protocols and learn to be specific. 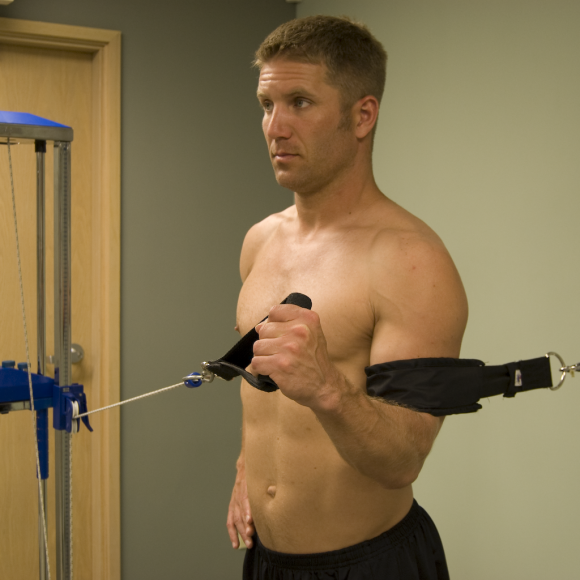 Separate yourself from the internet, or the basic sheet of exercises the orthopod gives the patient. We are the movement experts. Its time to start acting like it. Select from the 6 exceptional STEP courses below. These courses are built out of an entire curriculum for exercise dosage and design. Ola Grimsby and Jim Rivard bring the decades of teaching, clinical practice and research from around the world into this amazing 3 volume set. 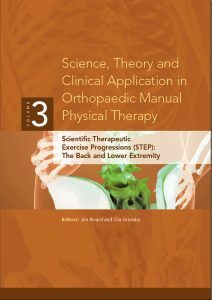 Volume 1 provides the scientific evidence and theoretical construct for the STEP curriculum, as well as integrated manual therapy concepts. 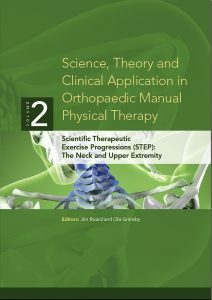 Volume 2 is a clinical text with chapters for the cervical spine, TMJ, shoulder and elbow, with hundreds of picture examples and theoretical concepts for addressing clinical impairments. Volume 3 is the clinical text for the lumbar spine, pelvis, hip, knee and ankle. Improve the depth of your understanding with these foundational texts in STEP (MET). Free book Sample. Ebooks can be purchased through www.lulu.com. All volumes also available as eBooks: Volume 1, Volume 2 and Volume 3.